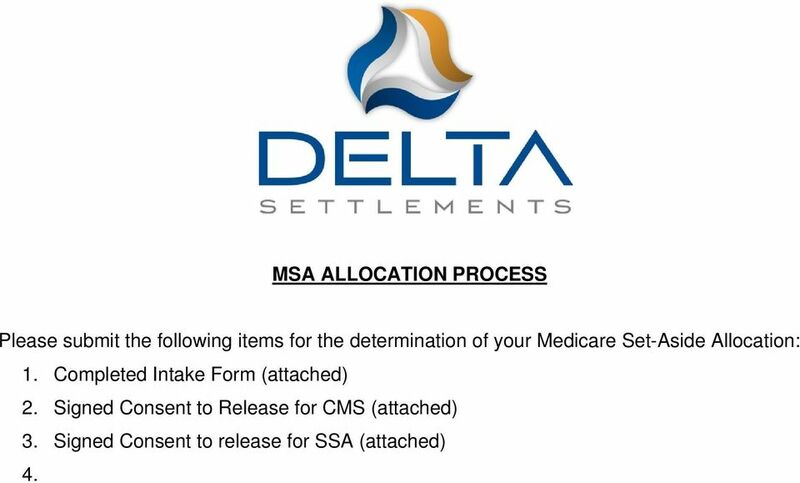 Download "135 West Bay Street, Suite 400 Jacksonville, FL 32202 Phone: (904)598 1110 or (877)596 5705 Fax: (904)598 1081 erin@deltasettlements." 4 CONSENT TO RELEASE I, hereby authorize its agents and/or contractors to release, upon request, information related to my injury/illness and/or settlement to the individual(s) and/or firm(s) listed below: PLEASE CHECK: Claimant's attorney (Name and/or Firm) () Insurance Carrier (Name and/or Company) () Other (Name and/or Firm) () How long can we give out information? 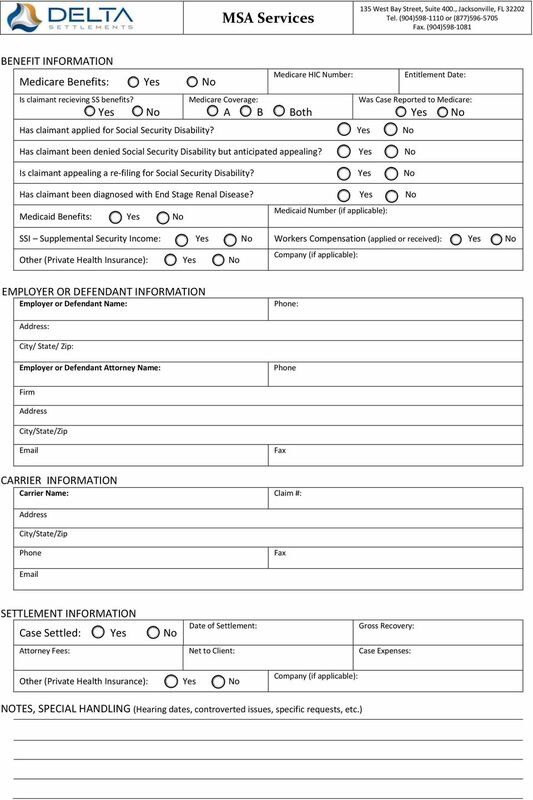 (CHECK ONE BOX) Ongoing, beginning Limited time (Month/Date/Year) through (Month/Date/Year) (Month/Date/Year) Claimant's Signature Date Signed Date of Injury Medicare Number If your Power of Attorney (POA) or legal representative signed this form for you, a copy of their POA or representation papers must be sent to us with this form. 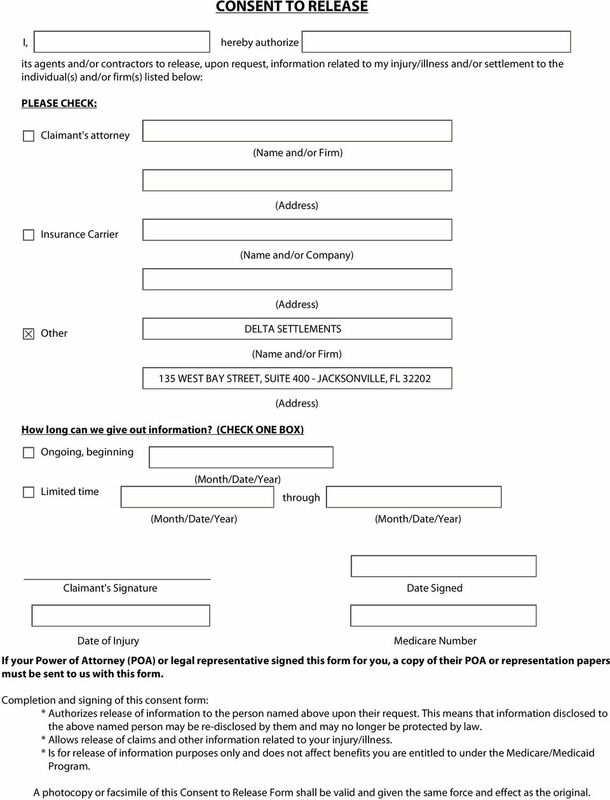 Completion and signing of this consent form: * Authorizes release of information to the person named above upon their request. This means that information disclosed to the above named person may be re-disclosed by them and may no longer be protected by law. 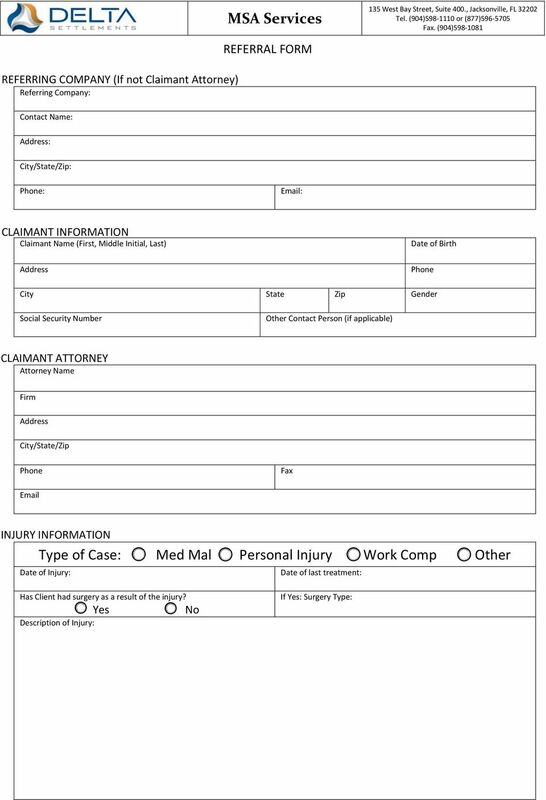 * Allows release of claims and other information related to your injury/illness. 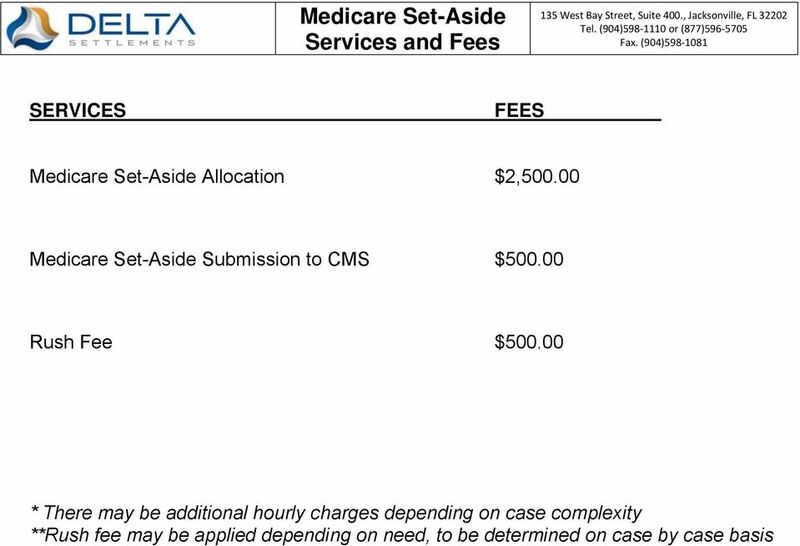 * Is for release of information purposes only and does not affect benefits you are entitled to under the Medicare/Medicaid Program. 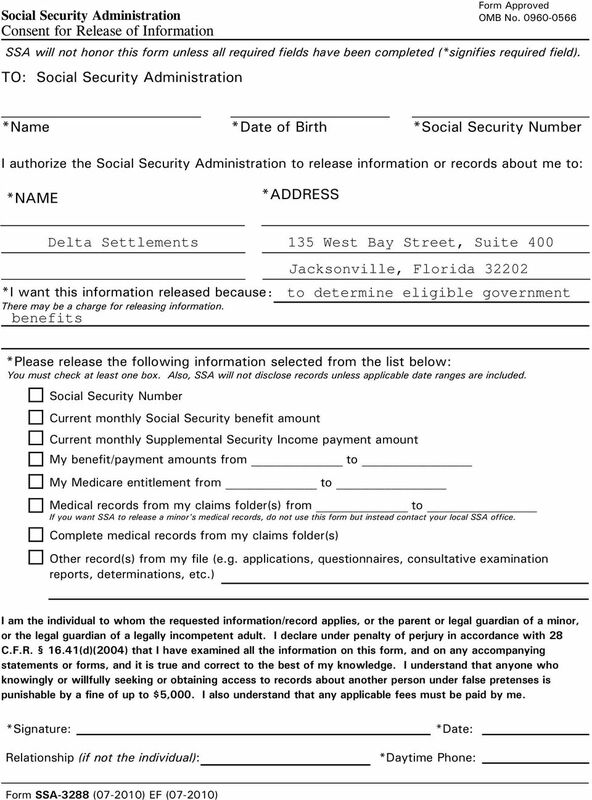 A photocopy or facsimile of this Consent to Release Form shall be valid and given the same force and effect as the original. PATIENT INFORMATION INTAKE F O R M BESSMER CHIROPRACTIC P. C.